What about supplementation of Calcium during pregrancy? Yes, it’s good to supplement some calcium during pregnancy. 500 to 1000 mg/day depending on diet. In your book for an average person you recomend calcium intake of around 700mg/d and no supplements. How much calcium should a pregnant woman strive for? 1000mg? more? Very grateful for your work. My wife and I are continuing our tradition of giving a copy of PHD as a wedding gift to everyone we know who gets married, with some success. 1. We have a four year old who is a picky eater, and doesn’t like salmon but does like eggs. Are eggs that claim omega-3 such as “Egglands Best” a reasonable way to get him omega-3, in your view? 2. Do you think taking a teaspoon of psyllium powder in water in the morning would have an impact on intermittent fasting/feeding window? Re the omega-3 eggs, each egg contains about 400 mg omega-3, which translates to 3 calories; all the omega-3 is in the yolk; a four year old may eat 1000 calories per day; so you would need 3 egg yolks per day to get an adequate (~1% of energy) omega-3 intake. That’s the PHD recommended intake of egg yolks, so I’d say, yes, it’s a reasonable way to get him omega-3. I do think the psyllium impacts the feeding window — certainly for the gut microbiome it extends the window strongly, and thus will reduce the number of mucin-feeding bacteria like Akkermansia. For you you’ll get about 1.5 calories per gram from short-chain fatty acids generated by gut bacteria, a teaspoon is about 5 g, so about 7 calories — which is minimal, equivalent to shortening the fast by 4 minutes. So it’s more a question of the impact on the microbiome. I would think the key is good circadian rhythms, so I would suggest taking it toward the end of your fast. Thanks for the information. I bought your book almost five years ago already and it’s still an invaluable resource. I just got pregnant and I was wondering if choline gets damaged by heat. I used to eat my egg yolks raw with smoothies, but now I’m not supposed to eat anything raw. No, you can cook your egg yolks, in fact that’s preferred. oh, i thought you preferred us to eat them raw…. oops. 🙁 I’ve been putting them in my smoothies raw every night. Since i don’t eat breakfast it seems easier that way… Do you not recommend them raw? I noticed that iodine is recommended daily, as I’ve seen elsewhere… is it really necessary to replenish stores each day or can a weeks worth be broken up into larger doses – taken maybe 3 or 4 times a week – and be equally beneficial? Small daily doses are better, as uneven iodine intake makes thyroid disorders more likely. With weekly supplementation of zinc is their any caution to taking say above suggested 100 mg in one day? I know alot of the studies use weekly dose for zinc treatment, maybe due to the long half life. I was under the impression that your body does not store zinc and needs to be replenished daily. Zinc like other minerals is stored in the many molecules that use it, primarily in zinc-copper superoxide dismutase but many others. So no, you don’t need to take it daily. I would not recommend taking more than 100 mg/week, although there might be circumstances in which it could be beneficial, it wouldn’t be physiologically normal. Makes sense now. Never realized how much Zinc is in a can of oysters. Like 80mg…so i guess tot this point in time i have never had any issues. I’ve just come to your excellent site , and am reading your book. Fantastic resources, thank you for your work. Just one question: what do you think of Glutathione supplementation? You mention the work of Art De Vany a few times and I’m sure you’re aware that he’s a strong advocate. It would be great to get your thoughts on this. I have a small problem. I tried beef liver, but it was too strong in taste. And I absolutely love chicken liver:) Would 1/4 lb of chicken liver weekly , plus copper supplement 2mg daily help with my constant fatigue I’ve been experiencing the last 2-3 weeks? Or do I have to have the beef liver? Is it the iron or the copper in the beef liver that helps with fatigue? Since I’ve been eating mainly chicken so far , I’ve been taking an iron supplement daily but it doesn’t seem to help with my fatigue at all. Otherwise I’m pretty much following your protocol , so I’m wondering how I could overcome this ongoing fatigue . The copper supplement plus chicken liver is a good substitute for the beef liver. Copper supplements can sometimes heal an iron deficiency anemia. So do supplement the copper. Be sure to balance it with zinc, and supplement extra vitamin C.
In addition to iron deficiency, the most common causes of fatigue include hypothyroidism and inflammation. So make sure any hypothyroidism is being treated, and support immunity via circadian rhythm entrainment, intermittent fasting, vitamin A, vitamin D, N-acetylcysteine and glycine, vitamin C, zinc and copper. Thank you so much Paul! I really appreciate your thorough advice! I just bought your book two days ago, and it is fantastic. One question: I have a severe tree nut and fish allergy (shellfish is ok for me). I am not able to get the Omega’s from a fish source. What could I substitute so that I get the required Omega 3/6’s in my diet? I used to have high TSH (9+ mIU/L) with normal thyroid hormones so I supplemented iodine for a while (First month 200mcg/day, second month 400mcg/day). After two months I tested my thyroid again and I got lower but still high TSH (4.540 mIU/l), high FT4 (23.27 pmol/l), but normal FT3 (4.49 pmol/l). So basically a FT4-only hyperthyroidism. What do you think about this? Does it look like the kind of hyperthyroidism caused by too much iodine or would you say it’s something else? I have searched your book and blog but find no information about how to use this highly recommended product externally for masks and foot soaks or internally as an aid for pulling toxins. Searching the internet, I have found 1-2tsps in 8 ounces of purified water an hour before eating food to 1:8 ratio of clay to water. That is a wide spectrum. For us newbies on the PHD, would you say a few words about how you would recommend its use? Sue Myers at Homeopathy for Mommies addresses this well. She advises that those who do this method (internally) do so with knowledge of finishing the job. If one uses clay, and does not go long enough with it, it can become problematic in that the metals are now bound but not moved out of the body. She also said that you can achieve this pulling using poultices on the feet, which is a safer method. Check her out if you are still concerned about how to use bent.clay for this. Good luck. Paul, do you have any tips to gain size/weight in facial areas? I recently had some food samples analyzed for vitamin K2 content — goose liver, duck liver, and duck egg yolks — and I thought you might be interested in the results. As you can see from the data file which I emailed you, the K2 content of goose liver was an order of magnitude lower in the sample I had measured than the figure given in https://www.ncbi.nlm.nih.gov/pubmed/11356998 (the study quoted everywhere in support of the claim that goose liver is an amazing source of K2)… Evidently, variability of vitamin K2 in goose liver is huge, and so it’s not a reliable food source. Duck liver was even lower. On the other hand, duck egg yolks had about 1 mcg of K2 per gram of weight, and appear to be a reliable source based on close agreement between three samples (I measured one sample from Massachusetts, one from Oregon, and one from California). For context, that’s more than triple the amount per unit weight in chicken egg yolks, based on measurements by the same lab commissioned by the Weston Price Foundation — c.f. https://www.westonaprice.org/health-topics/cod-liver-oil/vitak-test-results/ (which also show close agreement between three chicken egg yolk samples). That means two duck egg yolks provides about 50 mcg of K2 (versus 15 mcg for three chicken egg yolks). Also, half the polyunsaturated fat, double the cholesterol, and slightly more choline (c.f. http://nutritiondata.self.com/facts/dairy-and-egg-products/126/2 and http://nutritiondata.self.com/facts/dairy-and-egg-products/111/2). No, at those levels from food, I wouldn’t see any benefit to supplementing for an adult. Maybe for a fast-growing child, although if they ate plenty of green leafy vegetables and cheese/fermented foods, unnecessary there too. Great work, I’m impressed that you had the measurements done! I wonder how much of the duck egg vs chicken egg difference is due to a more natural diet of the ducks. The WPF chicken egg yolk data included both conventionally-raised and pasture-raised eggs. The MK-4 content was higher in the pasture-raised ones, but only by about 10%. The pasture-raised eggs also contained longer-chain menaquinones, which were entirely absent in the conventionally-raised eggs, so total K2 content differed by about 20% — much smaller than the difference between the chicken and duck eggs! which birds can synthesize, and which accounts for most of the K2 in egg yolks of any kind — is mostly genetically determined, with perhaps some variation from diet. Birds can’t synthesize longer-chain menaquinones, so that presumably reflect diet alone. I’ve never seen conventionally-raised duck eggs; all the duck eggs I found advertised “naturally raised” or some variant thereof, and all duck egg yolk samples contained longer-chain menaquinones. I have found your comment about a food-only version of PHD very helpful, as well as your comment with the macro- and micronutrient targets you’ve set on Cronometer. I’ve been experimenting for a few weeks with concocting a food-only or food-predominant PHD version of my own, centered around staples and ingredients that are readily available in Scandinavia. I’m writing here to ask a few questions and to provide some feedback on my progress. In light of the conversation between you and Paul about pantothenic acid, and the adequate intake set by the Food and Nutrition Board at 5 mcg, do you think it is necessary to set the target as high as 15 mcg? I’m simply not able to achieve an intake of 15 mcg per day, the volume of food required to optimize B5 in sync with the other nutrients is simply too large. And as much as I love avocados, I would prefer to not rely on them as an important source of nutrients in my own diet here in Scandinavia. I’m inclined to aim at something like 10 mcg, to account for vitamin losses during cooking and to be on the high side of the AI, while mitigating the cost and inconvenience of the whole foods, home-cooked diet I’d like to sustain for life. A note on toxins: Since I’m relying on potatoes as a staple, I peel them. A large part of the possible toxins reside in the skin, and the potato flesh is sufficiently abundant in important nutrients. Potatoes exposed to sunlight or improper storage conditions develop the stable and highly toxic glycoalkaloid solanine, something to remember for others who have potatoes as a staple. Aside from improper handling, mature potatoes intended for storage have the lowest solanine concentrations, while new potatoes still in their growth phase have the highest concentrations. It should be possible to hit all or most of the nutritional targets on a diet comprised of whole foods readily available in Scandinavia. A “Nordic implementation” does seem to favor a macro ratio skewed toward carbs, more like 50:30 carbs and fat instead of 30:50. I don’t think this is a problem, but I’d appreciate your input if you feel inclined to comment. I’m trying to be pragmatic and to adapt the diet to my situation. I don’t mind taking some supplements, so I’m taking a few, either to be certain I get enough (vitamin C and D), to reduce cost (zinc, instead of expensive oysters), to ensure a stable intake (iodine and selenium), or to avoid farmed fish (unoxidized liquid cod liver oil for omega-3). A diet consisting of potatoes, root vegetables, leafy greens, lots of alliums and crucifers, berries, eggs, homemade stock, ruminant meat, organ meats, seafood and some dairy is working very well for me. It’s delicious, hearty, filling, and not terribly expensive. I’m not aiming for perfection, rather for good overall health and sustainability, so I don’t worry about the 20% or so of my meals that are not cooked by me, which I eat with friends and family in good cheer. I’m getting a bigger freezer soon so that I can cook a large part of my meals on a monthly basis to save prep time. I enjoy the feeling I get when I peel several kilos of potatoes and carrots at a time! Thanks Eric for paving the way for me to refine my whole foods diet, so to speak. I forgot to ask the thing I am the most curious about: How did you go about deciding on your targets for the nutrients where your target differs from the RDI/AI? Specific targets are discussed for some nutrients in the PHD book and on this website, but not all as far as I’ve been able to tell. The AI for pantothenic acid was set at 5 mg because that is the typical amount of pantothenic acid in a western diet, and (overt) pantothenic acid deficiency symptoms are rare. No attempt was made to figure out what level of intake is necessary, or is optimal for general health. So I don’t find the AI of 5 mg particularly compelling. Scaled to adult body weight, a breast-fed infant obtains the equivalent of 20 mg per day of pantothenic acid. There are reasons (c.f. the conversation I had with Paul about pantothenic acid which you linked above) to think that adults need less. But we don’t know how much less, and excess pantothenic acid is harmless, so I only lowered my target modestly to 15 mg. In general, some nutrients are easiest to get by eating plants, some are easiest to get by eating animals… and some (like pantothenic acid or ergothioneine) are easiest to get by eating fungi, such as mushrooms. I don’t know exactly how much pantothenic acid is necessary, but my guess would be that the benefits of supplementation outweigh the risks for people who don’t regularly eat mushrooms. For the other B vitamins and vitamin C, I also scaled the amounts obtained by breast-fed infants to adult body weight. Then, for B6, I raised my target from 2 mg to 3 mg, on basis of the lower bioavailability of B6 from foods in comparison to breast milk, together with studies in adult humans suggesting 2 mg was not enough — for example, https://www.ncbi.nlm.nih.gov/pubmed/18469270. For vitamin K1, I based my targets off of studies in adult humans — for example https://www.ncbi.nlm.nih.gov/pubmed/12888638 or https://www.ncbi.nlm.nih.gov/pubmed/10799384 — which generally suggest about 200 mcg (roughly double the RDA) as the minimal intake compatible with optimal health. For vitamin E, I thought the RDA was reasonable, and was unable to find studies showing benefits of higher doses. If I remember correctly, that accounts for all the nutrients for which Paul didn’t suggest precise intakes in his book. I wouldn’t worry about farmed fish — I’d be much more worried about the potential for oxidation of the cod liver oil (even though you say it is “unoxidized”). Not to mention that cod liver oil could have its own contaminants — cod is much higher on the food chain than salmon or sardines, so wild cod has significantly more mercury than farmed salmon for example. I also wouldn’t worry about potato skins — the flesh does have lots of micronutrients, but the peel has even more, and solanine levels in domesticated potato varieties, provided they are stored properly away from sunlight, are quite low even if you eat the peel. Finally, when you say you’re getting 50% of your calories from carbs: Is that the number that cron-o-meter tells you that you are getting? Or is that a number you calculated using the instructions that I gave in the comment of mine which you linked? (Simply divide carb calories, which I explained how to calculate in the instructions you linked, by total calories, which cron-o-meter calculates for you.) Note that cron-o-meter’s calculation of the fraction of your calories that are from carbs is what I would call… very creative ;). What about BCAA’s instead of Creatine for muscle mass? For amino acids you can just eat protein-bearing foods, it’s not necessary or clearly beneficial to supplement particular amino acids. Creatine is another story, that has clear benefits. I’ve actually read that the body uses smaller doses throughout the day better. About 200 mg at a time. I recently have been trying to learn about homeopathy remedies… and one of the areas that has come up in my education concerns synthetic vitamins. The educator I’m learning from highly discourages using them, and of course she promotes (rightly) getting as much of our nutritional needs met through REAL FOOD. She also promotes the diet as outlined through the Weston A. Price Foundation. Cell Salts is part of the homeopathy remedies. . The salts are 12 different minerals that are not meant as long term supplements, but used as needed in different situations. I love following your PHD as closely as our family can, and I try to steer from “listening” to too many theories as I get overwhelmed and confused. So, right now, I’m in the PHD (several years) using your recommended supplements daily/weekly. Following the education of homeopathy, our goal is to remain drug free and seek some physical healing of conditions we are facing. Blending your expertise and hers, I sometimes hit a snag… hence the vitamin questions. Do you have any ideas or thoughts on this subject? Thanks, as always, for your dedication in this endeavor. Hi Lisa, I’m not sure what the question is. It’s always better to get nutrients from food where possible. Supplements are a second-best substitute in cases where it’s not convenient or easy to get optimal amounts from food. They can simplify life a little. Thank you so much for the information you provided. I really appreciate it. Thanks for your input on the potato skins. And you’re right! I just took the Cronometer percentages at face value, but they are including fiber in the carbohydrate portion. Ha ha. It’s more like 40 % carbs in my accounting, then, but that’s on a pretty low calorie budget, so at maintenance levels it probably approaches 35 % or thereabouts. Fat’s tasty, after all. I have to say I have thoroughly enjoyed your book. It is by far the most complete and informative digest on human diet that I have ever read. With all of the conflicting information on diet out there, and many “experts” never giving you the “why” of something they are promoting, trying to figure out how to keep a family healthy is extremely frustrating. Especially as our grocery stores are filled with more and more garbage. I know that in your book you mention that multivitamins are often extremely unbalanced. My question is, are there any out there at all that might come close for those who are looking for the convenience, or affordability that minimizing so many recommended supplements into one might bring? Thank you. A somewhat simpler approach is to take a B50 complex once per week, D in the winter if you live in northern latitudes, K2, C, magnesium, iodine, and zinc regularly, also some calcium if you don’t get adequate dairy and green leafy vegetables. Egg yolks daily. It can be beneficial as a promoter of bile acid production and extracellular matrix repair, along with glycine, vitamin C, egg yolks, and vinegar. What supplements would you advice for an ethical vegan, besides the obvious such as B12 and Omega-3? Also, what type of B12 would you recommend? Do you take digestive enzymes? They can help, as can foods like kefir and sauerkraut. A wide variety of fibers from mushrooms, carrots & potatoes are useful too. Thank you for these suggestions. I will give them a try. And thank you for the article link. I really appreciate your help and good wishes. The best thing regarding SIBO right now is Phage therapy. Check out Phage Complete from “The Gut Health Protocol”. LifeExtension also has a Phage product in the Florassist product line. It’s unlikely that you will get rid of your SIBO without kill supplements. Check out John Herron’s book “The Gut Health Protocol”. You need to take care of biofilms, inflammation etc. Hope this helps. Just wondering what are the benefits of such a high daily B5 dosage? Any preference between Pantothenic acid and Pantethine? There is a large price difference. I’ve heard that dark chocolate / raw cocao is not a source of magnesium or any minerals, because the high phytic acid content of the cacao inhibits mineral absorption. I’ve heard the same about nuts. Any thoughts on this? Thanks for all the useful information on this site, great work! Hi Annika, I don’t think it’s a problem. Most phytate is degraded in the stomach, releasing a majority of minerals from the chocolate or nuts. PHD is low in nuts, seeds, and cereal grains which are the main source, so we’re a low phytate diet, so there isn’t a lot of undigested phytate in the digestive tract to grab released minerals before absorption. Having some phytate in the diet may be beneficial. I wouldn’t worry about it. I saw your vitamin d3 recommendation, it says Adjust to 25OHD level of 40 ng/ml (whites/Asians), 30 ng/ml (blacks). It was my understanding if your darker skin you may need more than fairer skin. How come it says 30 for blacks but 40 for white asian? Hello, is their a multivitamin that can supply most of the supplements that you list? How long do you have to take N-acetylcysteine before any benfits kick in? PubMed NAC study durations look to be 4 weeks thru to months (6 months?). Is there an app available to help me follow the PHD program? Do you have any suggestions, as recording choices keeps me accountable and also gives me a log to look back on. Please help Paul. My nutritionist friend told me that synthetic Vitamin D is bad for me. So i am afraid to take the Vitamin D3 that you recommend. Can you please shed some light on the topic to ease my mind? Thanks! First of all I want to thank you for answering my questions. That is so kind of you and I really appreciate it! You are the best! I have one more question though. I live in SC. If I get my serum 250 vitamin D levels checked in the summer and they are ok, does that mean I can stop taking the MK7 too or would I continue to take that? No, you should take the MK7 year round, unless you eat a lot of fermented foods (such as cheese). Also, serum vitamin D levels only tell you about the last month, so a summer test tells you you do well in the summer but not necessarily that you are getting enough sun in winter. 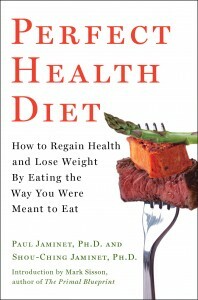 I am currently using your book to implement some changes to my family’s diet. I have two sons, who are 7 and 11. Should I give them all the supplements you have listed? Children generally don’t need as many supplements, but vitamin K2 is valuable for them, as can be magnesium, iodine, and zinc, and vitamin D in the winter if they don’t expose bare skin. Vitamin C would be next up if they don’t eat sweet peppers and citrus fruits. What is the optimal range for TSH? Is 1.45 too high in your opinion? I am still having some symptoms of hypothyroidism but don’t know if my levels warrant treatment. Do you have any suggestions? I am supplementing with iodine and egg yolks. Thank you. 1.45 is great, perfectly normal. Are you taking thyroid medication? If so, sometimes switching from T4 only to a mix of T4 and T3 can help alleviate symptoms. If not, you might check whether your TSH fluctuates, sometimes people oscillate between hyper and hypothyroidism. Hello, what could I eat or Supplement if I do not like to eat 3 eggs a day? So excited to hear about the cancer research and the spacecraft experiment. How did that turn out? I bought your book The Perfect Health diet when it first came out and loved it and recommended it to many friends. So brilliant. One question. I watched you on a podcast and you talked about chronic infections and age. I know a lady of 78 that has chronic bladder infections and had a bladder tack up to try to help and she still gets the infections. What is actually happening when nothing helps people like that? I am a young sick Catholic woman, pregnant with my first child–please grant me some counsel! I have had severe chronic insomnia since mid 2013. I believe it was initially caused by terrible habits and thus serious cortisol disregulation. In late 2015 I tested my vit D and it was at 18. A doctor told me to supplement with 10,000 IU daily to reach the “ideal” level of 80! I reached the 70s within a few months of supplementing and working on a farm. My liver consumption was very irregular; I’m sure I went long periods without any. I continued the D.
In late 2016 the keratosis pilaris I had always had on my upper arms began spreading to many places. I had already had dandruff for a couple years (since stopping commercial shampoo though). In 2017 I noticed that regularly eating raw cheese was reducing my KP flare-ups, at least on my arms. I lowered my vitamin D dosage to 5,000 IU in mid 2017. I had colds all winter long (never happened before but did move from Texas to France). My lips had become constantly severely chapped too. I tested my D at 66 at the end of winter and completely stopped and began 5,000 IU of vitamin A (retinol) and 200 mcg K2. Maybe it wasn’t good that I made those decisions at the same time, but I thought I was deficient in A.
I recently tested my D and I was down to 28. For the past week I’ve been taking 5,000 IU again. Sleep seemed to improve again, except finding myself wide awake in the night whereas before went into an interruped dreamy state for second half of night. So, I’m currently on this regime of equal parts D and A and 200 mcg K2. I had been trying to incorporate liver, but now very hesitant. I note that each time I ate chicken liver recently (before restarting D), I slept much better. Since starting the D my keratosis pilaris seems mildly worse. Should I stop or continue the A or even go up to 10,000 IU? I now have access to good beef liver. There’s so much conflicting information online that frightens me. Please help me! And may God bless you. First, may God bless you and your baby. The amount of A you are taking (5000 IU/day) is modest and safe; K2 (200 mcg/day) is beneficial at that dose; D is still a bit high at 5000 IU/day, especially in a season with sunshine, that would be a reasonable winter dose but you should expose skin to sun as much as possible in summer, and should need less supplemental D.
It is best to eat the liver. I would eat the liver and stop the A supplementation. Other nutrients in the liver, including phospholipids, copper, iron, and others will probably help you. If you weren’t eating liver, you could up the A a bit but only temporarily. In pregnancy, the key nutrient is egg yolks. Eat 5 egg yolks per day. The whites are optional. Also, please supplement zinc which is very important. Vitamin C is also likely to be good for you. 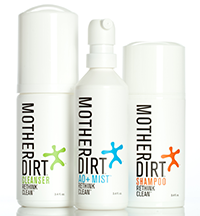 I would recommend getting Mother Dirt’s AO+Mist skin probiotic to help with dandruff and skin conditions. Then circadian rhythm entrainment is important. See Part V of our book. Thank you so much for the help, Dr. Jaminet. I stopped worrying about the choline though because Dr. Chris Masterjohn said that folate and choline perform the same function, and I take 800 mcg of methylfolate. Do you disagree? I’m MTHFR C667T homozygous. I also take 1,000 mcg of methyl B12 and wonder if I really need so much? Two doctors told me to take 5,000! I’m having beef liver today and stopping the vitamin A. 🙂 Is it ok to soak liver in milk or does this affect the iron? I have a high quality supplement of 10 mg zinc, 1 mg copper, and 2 mg manganese. Would this with weekly liver provide too much copper? I had taken 22 mg of zinc for maybe a year and eventually discerned that it had started giving me insomnia. What I read in your book made me afraid of lacking copper. Sorry for all the questions! Thank you again. I should clarify that I eat two eggs every morning. Also, excuse me, I reread the chapter in your book about choline and folate. Try taking ox bile supplements along with fatty foods. Also you can supplement bile components (glycine, taurine, vitamin C) and eating extra egg yolks will help. Folate and choline are complementary and you need both. 800 mcg of methylfolate is OK, but it doesn’t eliminate your need for choline. B12 is safe, 1000 mcg per day should be plenty. Take a little B6 (50 mg per week in a B50 complex) to balance it. Yes, it’s fine to soak liver in milk. It’s good to remove congealed blood and impurities. You need both zinc and copper. Typically 100 mg zinc per week and 15 mg copper per week is a good target. However, in pregnancy you will need more zinc. Copper you can get from food (chocolate, nuts) but it’s fine to supplement 1 mg/day too. You probably need more than 10 mg/day zinc from supplements. Also, it’s good to check iron status in pregnancy. Thank you for being so helpful. I’ll look into the ox bile. I managed three eggs this morning, so I’ll continue trying that. Is there an easy place to find information on your site or elsewhere about the KINDS of vitamins (how they are made) to purchase. I’ve been using your recommendations for several years now. But recently, as I’m learning more, I’m concerned about using any synthetic vitamins. Should we use WHOLE food based vitamins? If so, I’m having difficulty finding affordable ones that also contain the levels you recommended per day/dose. Is it bad to to consume vitamins from a non-Whole food source? Please, help me understand this as there is too much information out there on both sides. God bless. What’s your thoughts on NAD precursors? such as plain niacinamide for mitochondrial health? Hi Paul! Any tips on how to scale these recommendations for children? Has anyone experience with for building a customized vitamine capsule? what do you think about https://www.thelancet.com/journals/landia/article/PIIS2213-8587(18)30265-1/fulltext ? If vitamin D is strongly associated with good health epidemiologically but vitamin D supplements don’t help, then it is the sunlight that is beneficial, which is consistent with other evidence that circadian rhythm entrainment is critical. In your opinion- is there any substance to these claims, re: raising bsl’s / causing neuropathies in people with diabetes please? The comment about the interference with blood sugar test strips is new to me, I don’t know if that’s true or not. It is true that vitamin C can act as both an oxidant and antioxidant, but this is part of vitamin C’s natural and beneficial function; both sides are beneficial. Oxidative stress is a natural signaling pathway and sometimes you need it. The optimal intake of vitamin C is controversial but it can’t be settled without empirical evidence. Diabetes is characterized by an excess of circulating calories which leads to an excess of reactive oxygen signaling within cells, since excess energy stimulates oxidative stress. However, the oxidative stress stimulates insulin sensitivity which is good for diabetics. Dr Bernstein seems to think that the optimal amount of C in diabetics may be different from the optimal amount in non-diabetics, and lower. Neuropathy is a common risk in diabetes, and if vitamin C contributed to that it would be concerning. I’m doubtful that this makes sense. Indeed, tissue levels of vitamin C in diabetics are much reduced compared to non-diabetics, so it seems more likely that their elevated oxidative stress is depleting vitamin C and that diabetics may need more. I don’t have time to do a literature search on vitamin C in the case of diabetes, but you may want to research yourself. Here is a recent review on oxidative stress in diabetes: https://www.ncbi.nlm.nih.gov/pubmed/27752226. Here is a review of clinical trial results of vitamin C in diabetics with a focus on the effects on glycemic control, not neuropathy: https://www.ncbi.nlm.nih.gov/pubmed/28294172. There does not seem to be a link to Amazon to order the supplements you recommend. Did you take it off? It’s there, you have an ad blocker on. Turn that off and you’ll see. What do you think of Todd Becker’s case against nutritional supplements? Please assist, the section on Vitamin E does not indicate whether should be taken weekly or daily. The book does not mention this either. Weekly, or several days a week, should be sufficient. I hate liver!! Can I take liver capsules?? What are your thoughts on drinking low sodium V8 as the potassium supplement? Tomatoes are naturally high in potassium, and because it’s low sodium, the sodium chloride has been replaced with potassium chloride as well. OOps, sorry, I do have another question actually. 😆 In the book you recommend selenium only if you eat just .5 lb of meat and seafood while on this webpage you only recommend it if food is produced in a certain area. I’m not really sure where my food is produced. I have Hashimotos (without hypothyroidism), and i take it once a week. (I dont eat a full pound of meat) but I also have my husband on it and he does not have thyroid problems. Is the info here updated info? Should I stop taking it then? Once a week is very safe. Generally, flat and dry lands have high selenium, sloped and well watered terrain has low selenium. The former is more common in North America (Great Plains for example) and the latter more common in Europe. I wouldn’t take it more than once a week, though even once a week shouldn’t be necessary if you eat eggs and seafood and live in North America. That is great info! Thank you so much for answering! You are the best and such a blessing! Hello Paul, I’ve noticed that when you open your webpage with Chrome browser (instead of Internet Explorer), the links to buy supplements are not shown. You may be missing some money because of that. but in this discussion section, several other people have mentioned not seeing the links to supplements on this page, and Paul has responded by saying that they can’t see the links because they have an adblocker on their browser which is stopping the links from showing up. If they turn off the adblocker, the links will appear. For my browser and its security setup, I can see that many tracking/ad sites are trying to ping through to my computer from this website. To see whether I might be able to actually view the supplement links, I went to my adblocker and I temporarily “allowed” everything I’m comfortable with letting through to my computer (I stopped at about 8 different IP addresses, but there were more popping up from here), but that was not enough and the links are still not visible to me. I generally block ‘facebook’ IPs as much as possible, and maybe that is the sticking point for my browser on this page (it’s being blocked by my blocker when coming from this site, and I chose not to allow it through). It’s okay for me — I don’t really need to see the supplement links because I am already happy with the supplements that I am using, but I am disappointed that I could not see the lightbulb recommendations on the circadian rhythm page here. …Maybe Paul could provide the actual names and brands of the products that he recommends, to appear alongside his hyperlinks for directly purchasing them. I disabled the AdBlock in Chrome and yes, the links are there. You were right Monroe, thank you!